One of the most difficult jobs as an auditor isn’t keeping up with the constant changes in healthcare or trying to remember all the rules for the different Medicare carriers. It’s sitting down with a provider to discuss their audit results. When we audit a provider and their documentation isn’t meeting guidelines, we have to have a discussion about how they can improve. But any old discussion isn’t necessarily going to change documentation behavior. 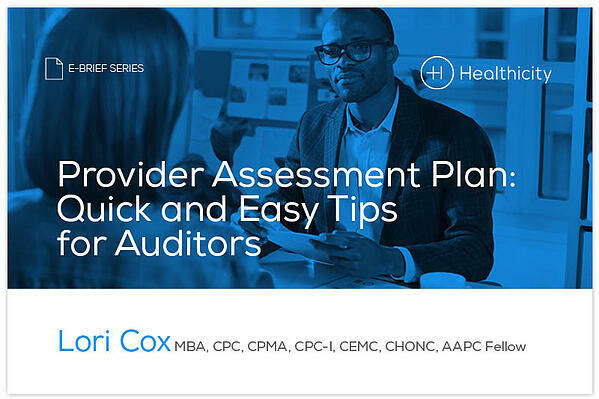 Providers have a different perspective than we do as auditors and we need to remember that. Condescending lectures and acting frustrated won’t get us very far. In order to get results, you’ve really gotta show providers what’s at stake and what’s expected of them. Give your providers case studies of providers getting slammed for incorrect documentation, point out the fines, and career-ruining potential. Detail the right way to document with examples from other providers who are doing it right. And above all else, stay calm and audit on.